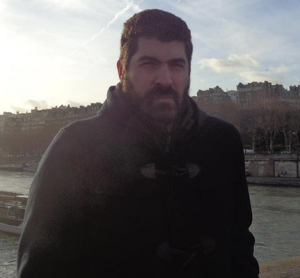 Note from the LeftEast editors: this is the second in the series of two interviews, carried out by George Souvlis on the history of the circle around the newspaper Il Manifesto and Italian unorthodox communism. It has been translated from the Italian by Chiara Bonfiglioli. The interview was conducted via email in January 2015. First of all, let me apologize for my delay in answering, due to my health state and to a number of difficulties related to Italian politics. Your questions would require me to answer with full essays to each of them. In the course of recent years, I have tried to answer such questions in my books and articles. There is a methodological issue we should agree upon to reach an understanding; otherwise many of my answers would seem to not address in depth the questions you are posing. The core matter for me is Marx’s thought, which was only partly incorporated by European communist parties, including the PCI. I will now send you my latest reflections, which are about to be published, in order to continue our dialogue. From the second half of the 1970s until today, the marginalization of women went hand in hand with the obscuring of migrants’ representation and with the effacement of class. What would be a new starting point for the left, in order to reunify the different subjectivities and demands, and to rethink representation? The effacement of class struggle, in a number of European countries, coincides with the effacement of migrant issues, which is related to class but not exhausted by it. Instead, this has not much to do with the women’s question. I would like to insist on the historical and temporal specificity of the contradiction between the sexes – which evidently remains across centuries and in very different geographical locations. Concerning what is to be done, I believe that first of all we need to recuperate the class dimension of society, a dimension that was obfuscated, even formally, in 1989, due to the responsibility of communist parties and of state socialist regimes. About the interrelations between the recent social situation and the conflict between the sexes, which is much more ancient, there is less research, but I believe it would be necessary to address them, in their diachronic and synchronic aspect. There is, and there has been a relevant discussion on the historical trajectory of the PCI in Italy. Some do believe that choices like the compromesso storico [the “historical compromise” between the PCI and the Christian Democrats in the 1970s] and the dissolution of the party in the 1990s were inevitable. Do you share this position, or do you believe that the PCI could have taken another direction? I do not understand the meaning of the word “inevitable,” while we are dealing with the political contradictions of capitalist society. Nothing is inevitable. The choice of effacing the class struggle is a political choice of subjection to capitalism in its financial and globalizing phase. 77 years have passed since the death of Antonio Gramsci. Do you think that his work could help us to understand the current global dynamics, and if yes, in which terms? Gramsci is a thinker of the crisis, including the crisis of the workers’ movement and of the revolutionary perspective in the West after the First World War. Since then, Italian society changed greatly: it transitioned from majority-peasant to industrial. The entire West is now dominated by a certain kind of neoliberalism. A great part of communist parties and trade unions made big concessions to neoliberalism. Learning the Gramscian method of historical and social analysis in a different context would be essential. The PCI chose to affirm “the moderate” Gramsci, who wrote about modern capitalism in general, while ignoring many of his specific writings and political positions form the 1920s. Of course, PCI’s position was never quite a voluntary choice. What is also missing, owing to Gramsci’s imprisonment until his death, is his assessment of “actually existing socialism”, which certainly he expressed in the secret dialogues with Piero Sraffa. You have been among those who were mostly identified with the history of the newspaper “Il Manifesto”. Which reflection can you make on this long experience of yours? My experience is inscribed in the general retreat of the left facing the questions created by its own development, a retreat which also touched Il Manifesto’s collective, when we split over the hope, or lack of hope, of re-entering the Italian Communist Party as part of a re-energized, resolute opposition. Neither those of us who re-entered the PCI, nor those who remained out of it, could overcome their isolation: the PCI after the 1970s and 1980s could not get back its original spirit, which had once made it one of the most intelligent parties of “revolutionary” opposition in the West. In 2012 Syriza, after the national elections, became the second biggest party in the Greek Parliament and the biggest opposition party. The last polls are projecting that Syriza will have an advantage of 3%, even if the general political situation is rather fluid. Do you think that there is something to learn from the fatal experience of Rifondazione Comunista, to avoid that the same mistakes would be repeated? I do not think that the former PCI, which first became DS and then part of the PD together with a very moderate Catholic left, could be influenced by and learn something from Syriza. Concerning Rifondazione Comunista, we cannot consider it a real heir of the postwar Italian Communist Party. 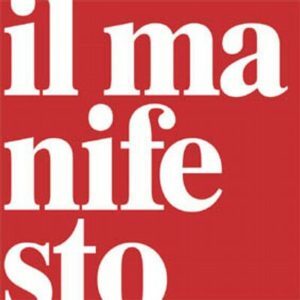 In Italy, the entire landscape of the left, which believes itself to be radical, as well as the “moderate” left, would need to undertake a serious self-critique for its past choices and for its political perspectives; the collective behind “Il Manifesto” failed in fostering this attempt. Since the 1980s, the affirmation of neoliberal ideology produced and disseminated the representation of a society without classes. The economic crisis of 2008 highlighted the growing social polarization that previously existed, but which had also gained weight since the 1980s. How do you think that left-wing parties in Europe should act in order to represent the working classes today? I do not feel that the crisis of 2008, which was completely internal to capitalism, strengthened the forgotten class contradiction. In Italy, France, Germany and Spain there has been a real effacement of Marxism as a theory of class struggle, and of its related praxis. The Western communist parties and those in power in the Soviet Union, China and Cuba seemed to have forgotten this, while in the course of the crisis, the class struggle on part of the rich increased. You might be interested in the 2012 book by Luciano Gallino, “La lotta di classe dopo la lotta di classe” [The class struggle after the class struggle], whose views on this question I completely share. Since the 1980s Marxist thought has been concealed both in the social sciences and in public discourse. After 2000 we witnessed a return of Marxist thought thanks to the action of political forces (social movements and parties) that promoted it to analyze the current political conjuncture. Despite the renewed interest for Marxist thought, the gap between theory and praxis remains as large as ever. How could it be overcome? Marx hasn’t simply faded away: neo-Fascist political forces, as well as by those with Christian socialist orientation, and with socialist tendencies, explicitly fought against his thought. Communist parties, meanwhile, did not oppose this by reclaiming Marxism; on the contrary (and it would be interesting to understand the reasons for this, beside the situation imposed by the balance of power). In the immediate future, it is hard for me to see a return of Marxist thought, neither in Western Europe nor in the American continent. I do not know Syriza enough to assess if the party has genuinely engaged with Marx. I hope so, seeing which persuasive force it gained in Greece. During Alexis Tsipras’ travel in Italy, I appreciated the clarity and subtleness of his analysis, but I wishes I could have talked with him for a while; probably you can let me know of Syriza’s most important political and theoretical writings. They will have to face a very complicated phase of struggle and establishment of alliances for the transition. Regardless of what they end up doing, their experience will have a lot to teach to the poor European left. Rossana Rossanda (born in 1924 in Pula, Croatia, then part of Italy) is a politician, journalist and writer. She took part in the antifascist Resistance in the city of Milan, and after WWII she joined the Italian Communist Party. In 1958 she entered PCI’s Central Committee and between 1963 and 1966 directed the PCI’s cultural section. 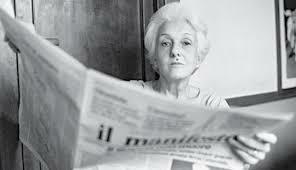 In 1969 she was expelled from the PCI for her participation in the group Il Manifesto, whose newspaper assumed a critical stance against the Soviet invasion in Prague. The group was then part of the left-wing PdUP [Party of Proletarian Unity for Communism], which lasted from 1974 until 1984. Rossanda has been an editorialist of Il Manifesto until 2012. While identifying primarily as communist, she edited two volumes on women in politics and on the relation between feminism and the left (Le altre, 1980, and Anche per me, 1987). In 2005 she published her autobiography, La ragazza del secolo scorso (translated into English by Verso under the title The Comrade from Milan, 2009).